Everyone is always looking out for the next big talent. So, I have decided to take a look at 20 of the hottest young tennis players, some of whom could well become the superstars of their generation. All twenty are 18 or less, with one exception who turned 19 earlier this month. In addition, despite still only being 18, I have left Laura Robson off this list, for the single reason that in the last six months, she has already established herself in the WTA ranks. The young Estonian had an impressive year on the junior circuit, reaching the semi-finals of the French Open and Wimbledon, and the final of the US Open, propelling herself to number 5 in the rankings. She also picked up senior ITF titles in her home tournament in Tallinn and in Mexico dropping only one set in those two tournaments. She also came close to qualifying for the WTA tournament in Copenhagen, beating top 200 player, Kristina Mladenovic, before losing in three sets to the talented Annika Beck. She could still challenge on the junior circuit next year, but it would be no surprise to see her playing more senior matches and her ranking should start to rise rapidly over the next twelve months. Donna Vekic had a stunning year last year (read about it here) and has struggled slightly to match the expectations in 2012. Only two titles on the ITF circuit is disappointing, although she demonstrated her immense talent when she became the youngest player since Tamira Paszek in 2006 to reach the final of a WTA tournament, when she beat three top 100 players. With a solid serve and a powerful ground game, she has the weapons to go far. Her ranking has shot up from 392 to 109 in 2012 and she should be looking to start competing more at the full WTA level next year. She should be fancied to qualify for the Australian Open, and at only 16-years old, she has the potential to go all the way to the top. Another young German, Witthoeft has ignored the junior ranks to concentrate on making her way in the senior rankings. Two titles in Ystad and Wrexham are promising, and she has had several impressive victories over top 100 opponents, such as Tsvetana Pironkova and Barbora Zahlavova Strycova. She has steadily improved her ranking from 405 to 223, and with no points to defend until April, she should shoot up the rankings over the early part of the year with a few decent results. The young Canadian won both the singles and the doubles Junior titles at Wimbledon, propelling herself to number 2 in the junior rankings. Combine this with the senior ITF titles that she has won on the clay of Bastad and the hard courts in Granby and Toronto, it is clear that she has a game to suit all surfaces. She demonstrated her potential by reaching the second round in Montreal, Dallas and Quebec and the quarter-finals in Washington on the senior circuit. These results have seen her ranking shoot up from 302 to 144 over the past year, and it would be no surprise to see her firmly establishing herself as a fixture in the top 100 at least in the next twelve months for a player with the potential to go right to the very top. Monica Puig ended 2012 in stunning fashion, winning two titles in October, before losing another ITF final in Ankara in December, improving her ranked by almost 100 places in the process. 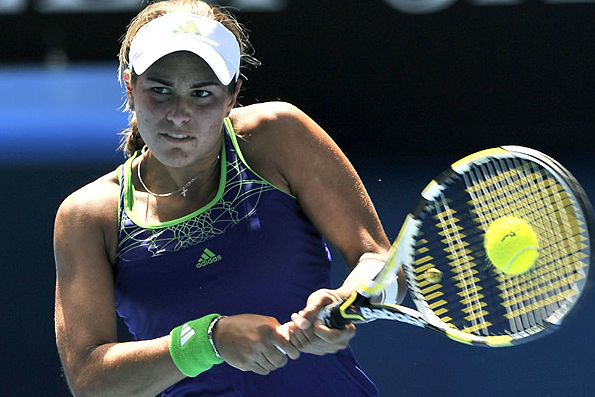 She was also able to qualify for WTA tournaments in Monterrey and Tashkent, although lost in the first round in both. She has a powerful game and she will be looking to build on the success of late-2012 and push on into the top 100 in the world. The first big challenge will be qualification for the Australian Open, and if she can achieve this, she could be set for a breakout year.